Pond scum, water blooms, that awful pea soup that appeared overnight ruining the sweet smell of your lake; call it what you will, but if you’re a recreational water user you need to know about blue-green algae blooms. Blue-green algae is a form of bacteria called cyanobacteria. This prehistoric bacteria grows in slow moving or still water. It can survive in all kinds of conditions and tolerate incredible environmental stresses. 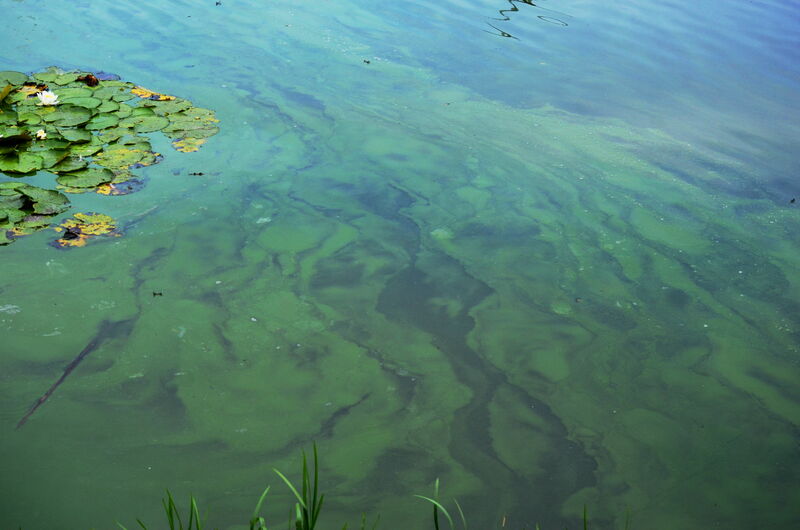 A “bloom” is when blue-green algae reproduce. Blooms like warm temperatures and lots of sunlight. The presence of nutrients in the water, such as phosphorus and nitrogen, speeds up the reproduction process. Blooms usually occur in late summer or early fall. However, certain conditions can cause blooms to ruin our water activities early in the summer. 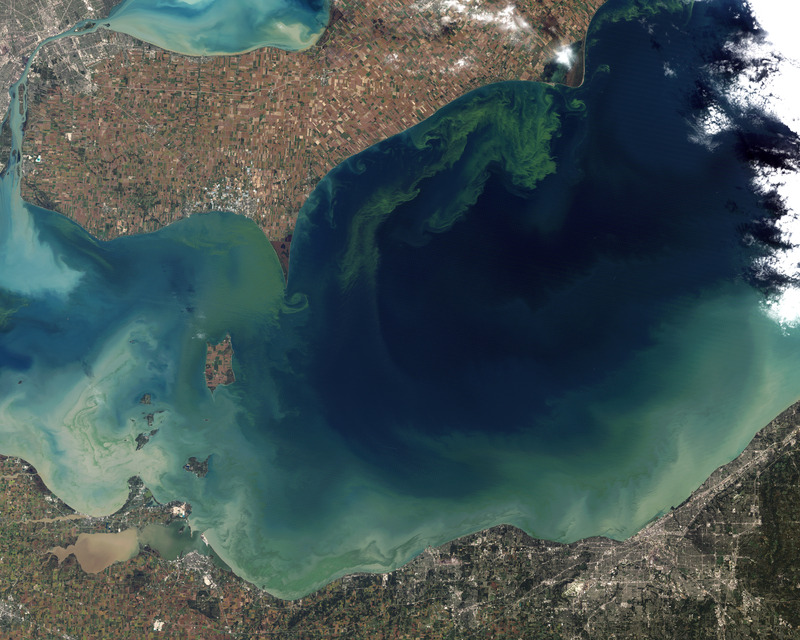 A number of factors increase the presence of blue-green algae blooms: Higher than normal temperatures, changing water levels, and the increase of nutrients making their way into the watershed from fertilizers and sewage runoff are promoting the number and the frequency of the blooms. The blooms are more abundant wherever people and pollutants meet water. Freshwater is more often affected by toxic algae than saltwater. Lake Erie toxic algae bloom. Photo by Nasa. 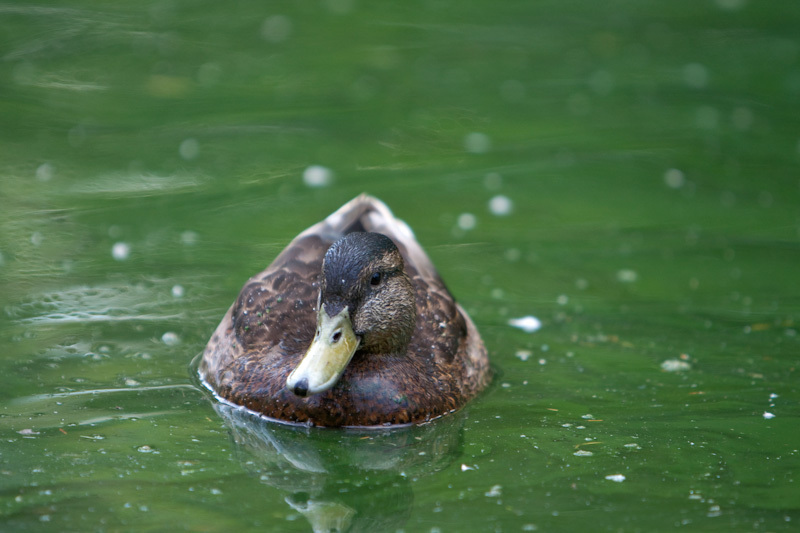 Why should I worry about exposure to toxic blue-green algae? While about 30-50% of cyanobacteria are not harmful, there are several species of cyanobacteria that can produce a number of different toxins (known collectively as cyanotoxins) as the cells die or get eaten by other organisms. Cyanotoxins can cause all kinds of adverse health effects to humans and animals. If a person has contact with toxic algae, they can develop skin irritation and/or allergic reaction in their eyes, ears, nose, throat; ingesting the toxins, by eating a contaminated fish, or by accidentally swallowing water while swimming, kayaking, or falling off a stand up paddle board, can cause a number of side effects including headaches, diarrhea, vomiting, fever, abdominal pain, and general malaise. People and animals that drink water containing the toxins suffer acute side effects to their liver, kidney, and central nervous system. The outcome can be fatal. How do cyanobacteria affect the lifeforms in my favourite swimming hole? Cyanobacteria and toxic algae can have devastating effects on aquatic ecosystems. The bacteria is competitive and aggressive. Creatures that live in the water, fish and frogs for example, experience a number of serious side effects from blue-green algae, ranging from deformities to death. The algae can choke the water of oxygen and deprive the other life forms of sunlight and food. Rapid decomposition of the algae can also produce high levels of ammonia, which is deadly to aquatic animals. It’s important to remember that the conditions that favour the blooms, such as nutrient-rich storm runoff, are also adversely affecting these ecosystems. Frequent blooms can be the symptom of greater environmental issues in the water. How do I know if the water contains cyanotoxins? Not all blue-green algae blooms are toxic. However the presence of the blooms is an indication that the cyanotoxins may be present in the water. 1. Look for blue-green algae advisory signs. Some local health units post advisories for toxic algae blooms along with their water quality data. Keep an eye out for flags, signs, or other algae advisories posted at the beach by the local health unit or other water quality monitoring body. Better yet, before heading to the water check the local health unit website or call their hotline to get information about blue-green algae. 2. Look for the physical signs of a bloom. Blue-green algae blooms typically make their presence known. They have a strong grassy or pungent smell. The blooms typically coat the surface of the water. The scum ranges in colour, from brown, blue, to neon green. The entire surface of the water can be covered in a bloom, or the algae can be concentrated in one location. However not all blooms are at the surface of the water. If the water is murky or milky (i.e. if you can’t see your feet while standing in knee deep water) that could be a bloom. 3. Check Drink Guide on your iPhone or Android device. Lake Ontario Waterkeeper’s partnership with The Water Chronicles alerts you when blue-green algae warnings are issued for drinking water supplies in Canada. How can I protect myself, my family, and my pets from the effects of the toxic algae? 1. Do not go in the water or have contact with the water. 2. Do not drink the water. Boiling water will not reduce the risk. 3. Do not let pets or livestock drink or have contact with the water. 5. Call your local water utility or health unit and alert them of the bloom. 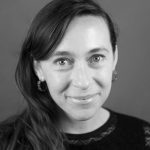 How can I help reduce blue-green algae blooms? There are a number of things you can do to reduce your contribution to the conditions that promote toxic algae. 1. Eliminate/reduce chemical fertilizer use, especially near water. 2. Use phosphate-free soaps and cleaning products. 3. Ensure that septic tanks are working properly and not leaking into water sources. 4. If you suspect sewage is entering the waterway contact your health department or local authority. 5. Plant shrubs or trees along shoreline to help prevent runoff. Environmental Health and Safety Surveys: What are they and why are they important?